A birding trip to Iceland will typically yield 70-80 species in May/June and many species are abundant and unmissable at this time of year. You won’t need to look hard for Whimbrels and Golden Plovers in summer for example, nor Iceland Gulls in midwinter! The best time for a birding trip is definitely late May – June when all migrants have arrived and birds are very conspicuous, defending their territories. At this time of year there is also 24-hour daylight so the very keen can bird round the clock. Whilst birding is possible all year round, the worst time is undoubtedly late November to January, largely because the short daylight hours are very restrictive and the weather can be rather demanding. This page is designed to provide basic tips on where to see some of the species which feature high on the “wish-lists” of visiting birders. Only staying briefly in Reykjavík? You might want to check out the newly published "Birding in Reykjavík". For more information on birdlife or birding tours see Gavia Travel or contact the authors. 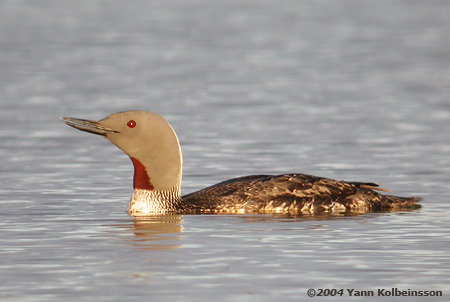 Red-throated Diver is a common breeder and is easily seen (and heard) in spring and summer. It breeds across the country but particularly good areas to see it are in the Flói area of southern Iceland (e.g. off road 34), Mýrar in western Iceland (e.g. off road 540), Hérað in eastern Iceland (road 94) and Öræfi in south-east Iceland (along road 1). In winter it is common off the south and south-west coasts and can be often seen in mid-winter in big numbers in the harbours in Reykjavík and Hafnarfjörður. Population estimated at 1,000-2,000 pairs. 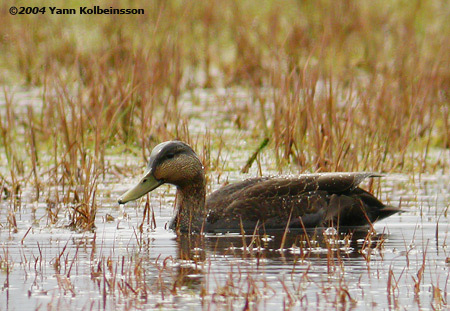 This bird is one of three species which has its only regular European breeding site in Iceland. 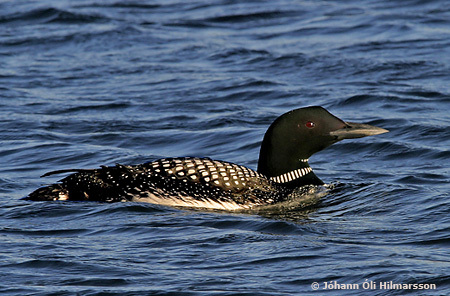 Great Northern Divers are partial migrants, with some birds wintering off the coasts of the UK and elsewhere and some remaining at sea around Iceland. 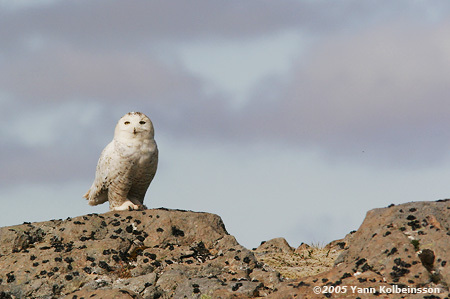 Small numbers can be seen in winter around the Reykjanes peninsula for example. Breeding birds return to their nesting sites as soon as the ice has cleared, generally from mid-April onwards. In spring and summer they can be located at reasonably large fish-rich lakes across the country, good places including Þingvallavatn (SW), Mývatn (NE), Arnarvatnsheiði (N), Veiðivötn (S) to name just a few. There are usually a couple of pairs on the outskirts of Reykjavík. Population estimated at 200-300 pairs. 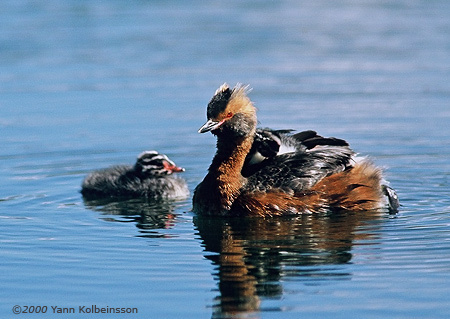 Iceland’s only grebe is locally common in summer at places such as Mývatn (NE) and pools on the southern edge of the Snæfellsnes peninsula (W). In winter it is scarce but can regularly be encountered in Hvalfjörður near Reykjavík, for example. Population estimated at 700 pairs. 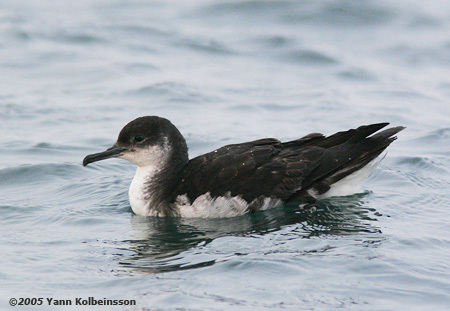 This pelagic species only breeds in the Vestmannaeyjar archipelago off southern Iceland. Outside this area it can be most easily seen from the village of Garður in SW Iceland, either from the lighthouse or from the end of the disused harbour, between late April and September. Population estimated at 5,700 pairs. The European Storm-petrel breeds in remote colonies on the south coast, mainly in the Vestmannaeyjar archipelago, and access to these breeding sites is difficult for the casual birder. However, it can be readily observed from land in June to September (especially July-August) from the village of Garður in SW Iceland, either from the lighthouse or from the end of the disused harbour. They should also be fairly easily seen in summer from the ferry to and from the Vestmannaeyjar archipelago. Population estimated at 75,000 pairs. Unquestionably the most difficult Icelandic breeding species to see, even though it is thought to have its largest European breeding population in Iceland. 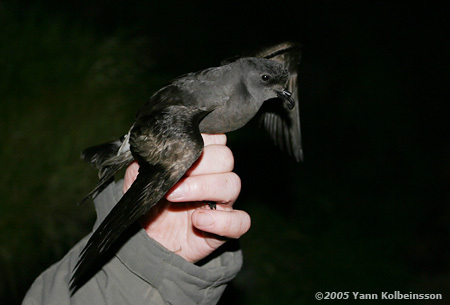 Like the European Storm-petrel it is restricted to remote colonies off the south coast, mainly in the Vestmannaeyjar archipelago, but is very rarely seen from land. Indeed these two authors have only ever seen them in the pitch dark at breeding colonies. If you happen to observe them from land, we’d be very interested to hear about it! Population estimated at 198,000 pairs. 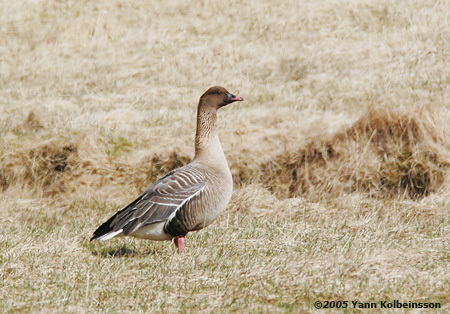 In mid-April certain lowland areas of Iceland fill with the sound of thousands of recently arrived Pink-footed Geese from the UK. Some move into the central highlands of Iceland to breed, whilst others continue to Greenland. Good areas to see groups on passage (mid-April to mid-May and again mid-September to mid-October) include the southern plains (any side road between Selfoss and Hvolsvöllur should be productive), Skagafjörður in the north and in the south-east between Skaftafell and Höfn. Access to breeding areas is more difficult and travelling in the central highlands should not be undertaken lightly. 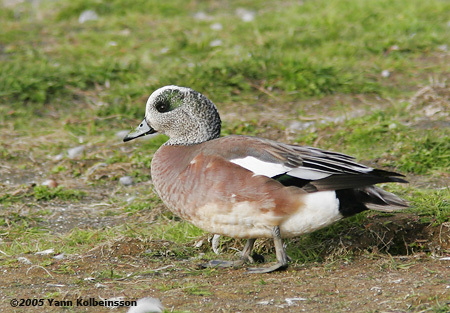 American Wigeon is a regular vagrant to Iceland and is almost always seen in the company of Eurasian Wigeon. 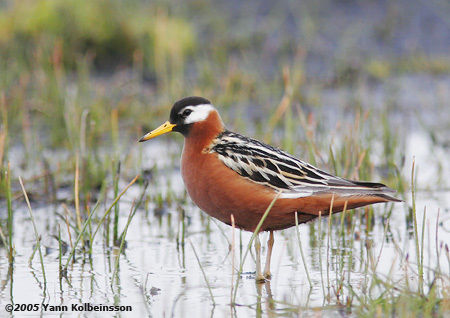 There are usually a couple of birds in the Reykjavík area in winter (September – April) in Eurasian Wigeon flocks (see latest bird news at relevant times), and birds are frequently seen at Mývatn (and elsewhere) in summer. If you are lucky enough to see this species, we would be grateful if you could inform the webmaster. This bird is a rare vagrant to Iceland, with just over 30 records. In the past, several birds remained faithful to certain sites for many years but unfortunately no long-stayer is known to be present for the time being. 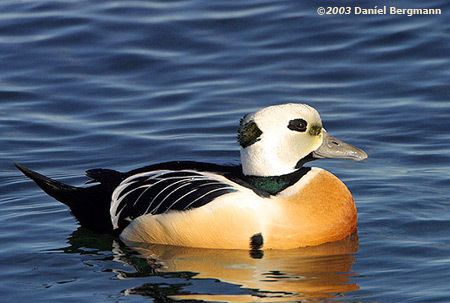 King Eider is generally a scarce winter visitor but it is seen in all months. 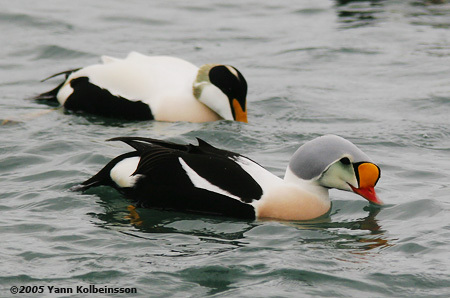 The best time to see it is March/April, when careful scanning of Common Eider flocks in harbours anywhere around Iceland will often result in a King Eider. There are also frequent summer records from the Vestfirðir region (NW) and Melrakkaslétta (NE), for example. These have always been very rare vagrants although some individuals have stayed for numerous years at the same sites, such as this popular drake that was at Borgarfjörður eystri (a.k.a. Bakkagerði) from early 1998 to late 2013. There are no long-stayers currently known to be here. 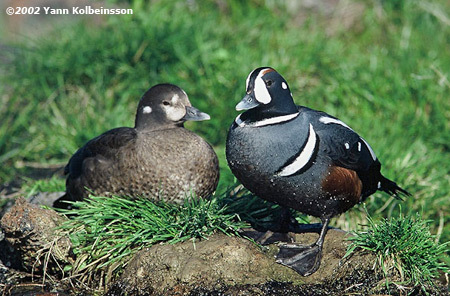 This exquisite duck is one of the most sought after species for visiting birders, as Iceland is its only European breeding ground. Fortunately it breeds throughout the country and is relatively easy to find. Harlequins winter at sea in areas where the sea is rough, and is rarely found on calm, sheltered waters. From late September to mid-April it can be readily seen at sea close to Reykjavík, some of the best places being the harbour at Hafnir, and the bay Hraunsvík east of Grindavík, and the Kjalarnes headland just north of Reykjavík. In spring and summer it is essentially found on fast-flowing, clear, spring-fed rivers. Males begin to show up at their breeding grounds in early April and remain until the latter half of June before returning to the sea to moult. The females and young are generally present until August. It can be more difficult to find in August to September. One of the best places to see it in spring/summer is where the river Laxá flows out of Mývatn (NE), where the bird has its densest breeding population in Iceland and possibly in the world. Just stop at the bridge where road no. 848 crosses the river and lift your binoculars! Winter population around 14,000 birds. 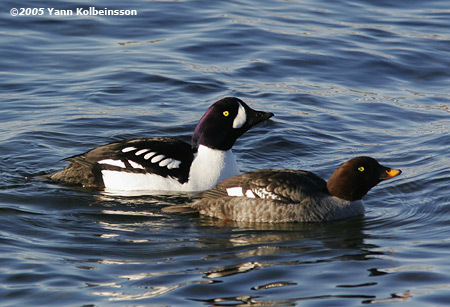 Another key target bird for many visitors, the Barrow’s Goldeneye is far more restricted in range than the Harlequin Duck. In this range it is however easy to find. 90% of the Icelandic (and European) population breeds in the Mývatn/Laxá ecosystem in north-east Iceland where it is largely sedentary. Closer to Reykjavík there is a regular wintering site one hour’s drive east of the capital at the river Sog and lake Úlfljótsvatn, where up to 150 birds may be present. Numbers decrease in February and March and many birds move to nearby lake Laugarvatn and Apavatn, before leaving entirely for Mývatn in mid-March. However, a handful of birds usually remain throughout the summer, principally on the lagoon between the Ljósafossstöð and Ýrufossstöð power stations (the north end of river Sog), just off minor road no. 360. Visitors in summer should, however, make the trip to Mývatn to be certain of seeing them. Population estimated at 2,000 birds. This is a fully protected species in Iceland and it is not possible to give precise information on their whereabouts. 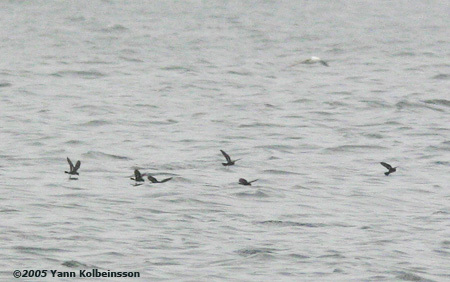 In summer one of the best ways to see this species is to take a boat trip with the company Seatours from Stykkishólmur. This company has a licence to approach one eyrie by boat and sightings are virtually guaranteed, at least the author has seen them on 16 out of 16 trips! In winter it can sometimes be seen by the river Sog in south-west Iceland. Otherwise keep your eyes open when travelling in western Iceland. Please do not publish any details of nest sites in trip reports if you come across a breeding site. In order to access or/and photograph this species at a breeding site, prior permission is required from The Environment Agency of Iceland. 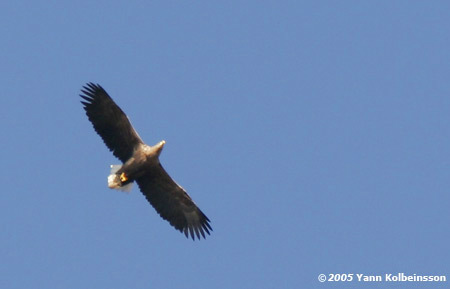 It is also prohibited to approach within 500 metres of a White-tailed Eagle's nest between 15 March and 15 August. This species is also fully protected and no precise locations can be given. However, it breeds throughout the country and can be expected almost anywhere but is generally scarce. Mývatn is an excellent place to see the bird taking advantage of the abundance of prey, as is the whole of north-east in general, particularly near auk colonies. In winter it is regularly seen in Reykjavík, generally along the coast, and it is often seen along the coast of the Reykjanes pensinsula. Look out for panicking gulls and wildfowl! Please do not publish any details of nest sites in trip reports if you come across a breeding site. In order to access or/and photograph this species at a breeding site, prior permission is required from The Environment Agency of Iceland. Population estimated at 300-400 pairs. Our only grouse is found throughout the country from sea-level to the mountains and is sometimes the first bird which visiting birders see in winter in the car park of the international airport! It is one of the characteristic species of upland areas. The population fluctuates greatly in 10-year cycles and in poor years can be decidedly scarce. However, in good years it is easy to find in heath and grassland habitats, for example in the Heiðmörk area just east of Reykjavík, the Þingvellir area, the Tjörnes and Melrakkaslétta peninsulas in NE Iceland to name a very few. 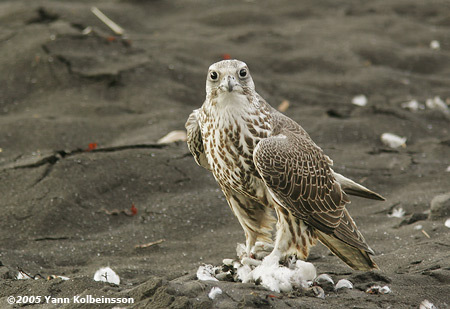 Areas with particularly dense Ptarmigan populations may also be good places to look for its arch-nemesis, the Gyr Falcon. Population estimated at 59,000 pairs. This delightful wader is a common breeder in all types of wetland from sea-level to the mountains. It is a late arriver, the first birds turning up in the second week of May and mostly departing by the latter half of July, with stragglers into September. It is for example very common at Mývatn (NE) and Flóinn (S). Large flocks congregate from the beginning of July at places such as Rif (W), Mývatn (NE), Stóra-Sandvík (SW), Hornafjarðarfljót (SE). Population estimated at 10,400 pairs. 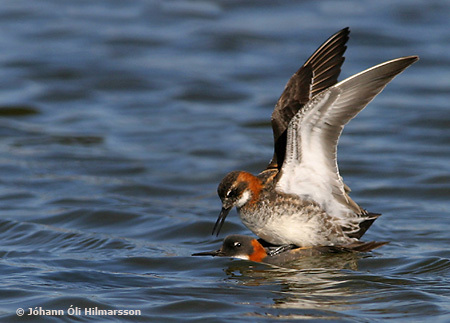 The Grey Phalarope, or Red Phalarope as Icelandic birders like to call it as it is red when we see it, is a rare and protected species and most breeding sites are kept strictly secret. However, it can generally be seen on the island of Flatey in western Iceland in June and early July. We feel this site is safe to mention as the actual breeding area is on a protected part of the island which is strictly off limits to all visitors but can be safely viewed from areas open to the public. The restricted area is fenced off and signs warn you not to enter. Please respect this, trespassers will be prosecuted. Scope from the fence and birds can often be seen feeding on the shoreline, and even by the village itself since the birds themselves don’t know which areas are restricted! Single migrants turn up in September on pools in SW Iceland. If you see this bird in summer outside the Flatey area, we would be grateful if you could inform the webmaster. In order to access or/and photograph this species at a breeding site, prior permission is required from The Environment Agency of Iceland. 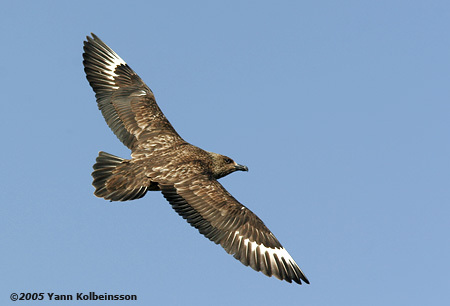 One of the first migrants to arrive in March, the Great Skua is a characteristic bird of the glacial flood plains of southern Iceland. A very common and conspicuous bird of the scenic south-east area it also breeds in glacial flood plains in the north-east and is easy to see off most coasts in summer. Avoid their nesting sites, they won’t give you a warm welcome. Population estimated at 5,400 pairs. A common breeder in western Iceland, e.g. Snæfellsnes peninsula and the Vestfirðir region. 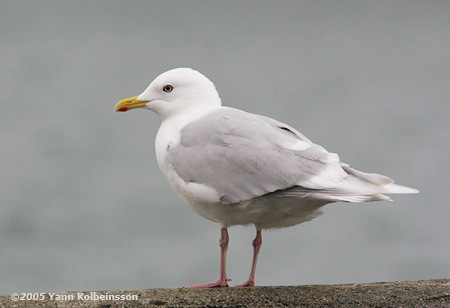 In winter it is a very common winter bird in the Reykjavík area, where it is usually outnumbered, however, by the non-breeding Iceland Gull. A trip to south-west Iceland in winter gives visiting birders the perfect opportunity to compare and contrast Glaucous and Iceland Gulls of all ages side by side. Most visiting birders will see more of each species on a single weekend than a lifetime’s gullwatching at home. Population estimated at 2,400 pairs. Iceland Gull does not breed in Iceland but is a very common winter visitor. 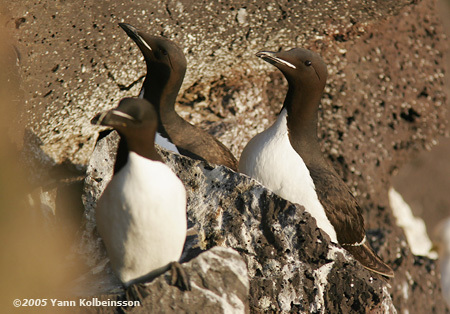 Birds begin turning up in late September and peak in March when there may be many thousands in the Reykjavík area. 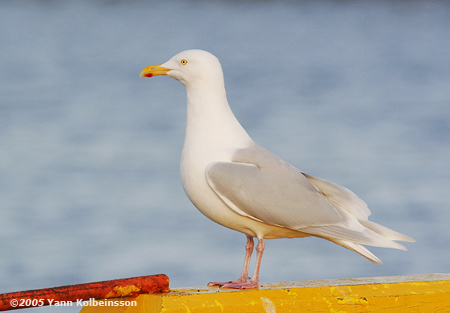 It won’t take you long to see Iceland Gull if you visit Reykjavík harbour in March! Numbers begin to fall off in April but the odd birds do stick around in summer in places like Sandgerði (SW), Ólafsvík (W), Blönduós (N), Húsavík (NE) and you could find them by patiently scanning flocks of gulls. 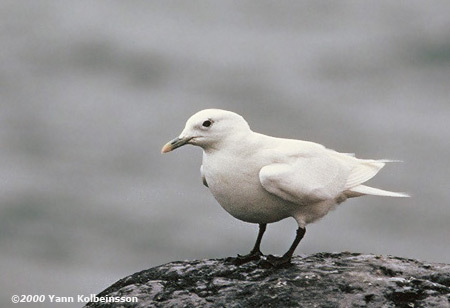 Ivory Gull is a rare winter visitor to Iceland and visitors will be very fortunate to see one. Whilst it has been seen in summer, it is much more likely in winter, usually seen in harbours and most regularly in the north and east of the country, where the sea is colder than off the west coast. If you are lucky enough to find one, we would be grateful if you could inform the webmaster. 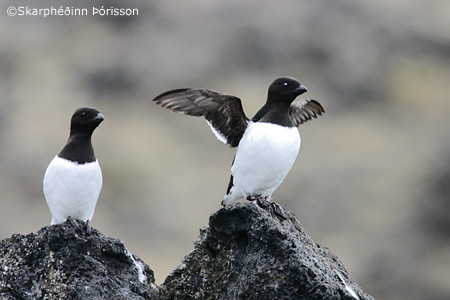 This Arctic species is a common breeder at the vast seabird colonies of northern Iceland but can also be found in smaller numbers at other sites. It is generally present at breeding sites from late March (occasionally earlier) to late July but is very rare in winter away from the north and east coasts. Close to Reykjavík it can seen in very small numbers in the breeding season at the seabird colonies of Hafnaberg (30 minute walk from road 425) and Krýsuvíkurberg (4WD only or a long walk from road 427). Far easier is to visit the western end of the Snæfellsnes peninsula and visit the cliffs at Þúfubjörg near Malarrif and better still the cliffs at Svörtuloft, on the track out to Öndverðarnes. The latter site is also an excellent place to see Killer Whales (Orcinus orca) in early summer. Vast colonies also occur in the Vestfirðir (West Fjords) area, the most accessible being Látrabjarg. 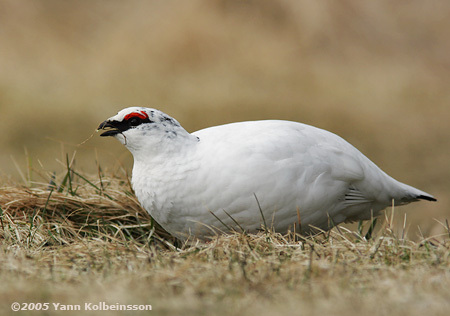 This bird no longer breeds for certain in Iceland and should not be expected in summer. It occurs as a regular winter visitor but usually far from land, coming inshore in bad weather. If you see this bird in summer, we would be grateful if you could inform the webmaster. 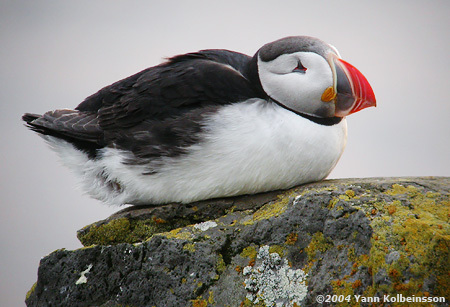 Easily the most popular bird for general visitors to Iceland and between April and August no visitor should go home disappointed as Iceland boasts the world’s largest Puffin population. Real Puffin enthusiasts should make the trip to Heimaey in the Vestmannaeyjar archipelago where the influence of Puffins is inescapable! You’ll probably end up dreaming about them after a night here. Other places to see them include Látrabjarg in far west Iceland (extra tame and photogenic), Borgarfjörður eystri (E), Ingólfshöfði (SE), Breiðafjörður (W) and there are even boat trips from Reykjavík. Population estimated at 2 million pairs. This is a very irregular breeder in Iceland and last attempted breeding in 2008, 1998 and 1973. There are between 7-20 records annually and it is seen in all months. 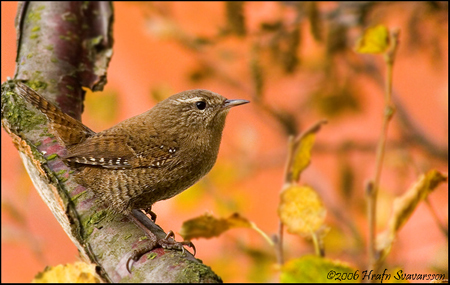 The Icelandic race of Winter Wren is a rather scarce breeding species but can be locally common. Good places to find it in summer include Höfði at Mývatn (NE), Skaftafell National Park (SE), Þingvellir National Park (SW) and in birch scrub in the Vestfirðir region (NW). By the end of September birds move to wintering areas, e.g. the south-west where it is frequently seen on the shoreline and in open ditches/warm streams. Population estimated at 500-2,000 pairs.